Conjunctivitis, also known as pink eye, is an inflammation of the clear membranes that protect the whites of the eye. When pink eye is caused by allergens such as dust or pollen it cannot be transmitted, but when caused by a virus or bacteria, the condition is highly contagious. 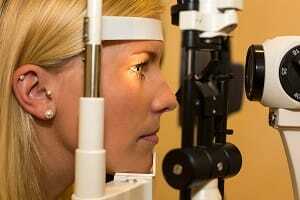 Unlike other eye diseases, conjunctivitis, can be self diagnosed. However, at Valley Eyecare Center we encourage you to schedule an eye exam to get the right treatment as it differs depending on its cause. Keep reading to learn the cases, symptoms and treatments for pink eye. Pink eye is caused by viruses and bacteria that are transported from the hands to eyes. It is not a severe disease, but it lasts over 2 weeks with plenty of discomfort. If caused by a virus or bacteria, it can spread very fast from person to person, by contact. Symptoms roughly include redness in the white of the eye, excessive tearing up, yellow, green, or white discharge, itching or burning of the eyes, as well as blurred or sensitive vision. Having any of these symptoms, you may want to contact your eye doctor for proper evaluation. Treatments vary regarding what caused the conjunctivitis. If the case was bacteria, it should be treated with antibiotics (either eye drops, ointments, or pills), prescribed by your eye doctor. If the cause of your pink eye were viruses, time is the best remedy. Your conjunctivitis needs to run its course and it will fully go away in about a week. This form of pink eye is quite contagious through simple physical contact. It is recommended to throw away makeup or contact lenses applied while you had pink eye to avoid future implications. If your conjunctivitis was caused by irritants, you can simply use water to flush out the substance for about 5 minutes. Within a few hours, you should see improvement. If the pink eye was caused by some sort of bleach, rinse with water constantly and call your eye doctor right away. For more information about pink eye or to schedule an eye exam, contact Valley Eyecare Center.